Heel pain is one of the most debilitating foot problems that can occur in active people. It can interfere with your ability to stand, walk and exercise, and can cause significant interruption to your daily activities. 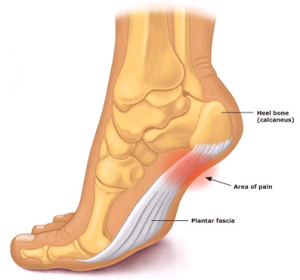 Heel pain is most commonly caused by a condition called plantar fasciitis, which is acute inflammation of a long band of connective tissue (called the plantar fascia), underneath your foot. 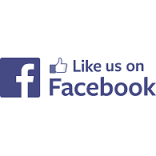 Increased activity – have you recently started a new job or a new gym program that requires you to be on your feet more? Ice/Heat Packs – 10-20 mins at a time on the painful area as required during the day. Stretching – ask your Podiatrist to show you how to stretch your calf muscle and Achilles tendon safely. Changing your shoes – ask your Podiatrist for advice on more supportive options and avoid walking barefoot. Orthotic therapy– your podiatrist may recommend using orthotics to change your walking pattern and improve your foot function. Work within your limits– it is possible to overstrain your plantar fascia and make the pain worse or even rupture the tissue, so make sure you only do what you can manage and if the pain gets worse, rest your foot. Shockwave Therapy – great results for chronic heel pain! 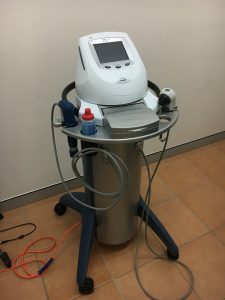 We have recently purchased a Shockwave Therapy machine in order to provide the best, and most up to date treatments for our patients. Shockwave has been shown to produce great results in people suffering long term pain from conditions such as Achilles Tendonitis and Plantar Fasciitis.